Have you read The Mitten at home with your children? This book is such a fantastic addition to our winter book rotation. I love reading it to both children. Inspired by our reading time, I put together a list of mitten activities for kids based on this lovely book! You can use set these up for some fun activities for your little ones this winter! If you haven’t already, I really encourage you to read The Mitten by Jan Brett! You can use our Mitten Addition Strips to help an older child practice adding! These mitten printables are so cute! I think these story stones can be a useful aid to reading the book. I may give them to a child to try to sequence the events, or tell the story in their own way. Create a fun math activity (or just a beautiful craft) with this mitten counting activity. 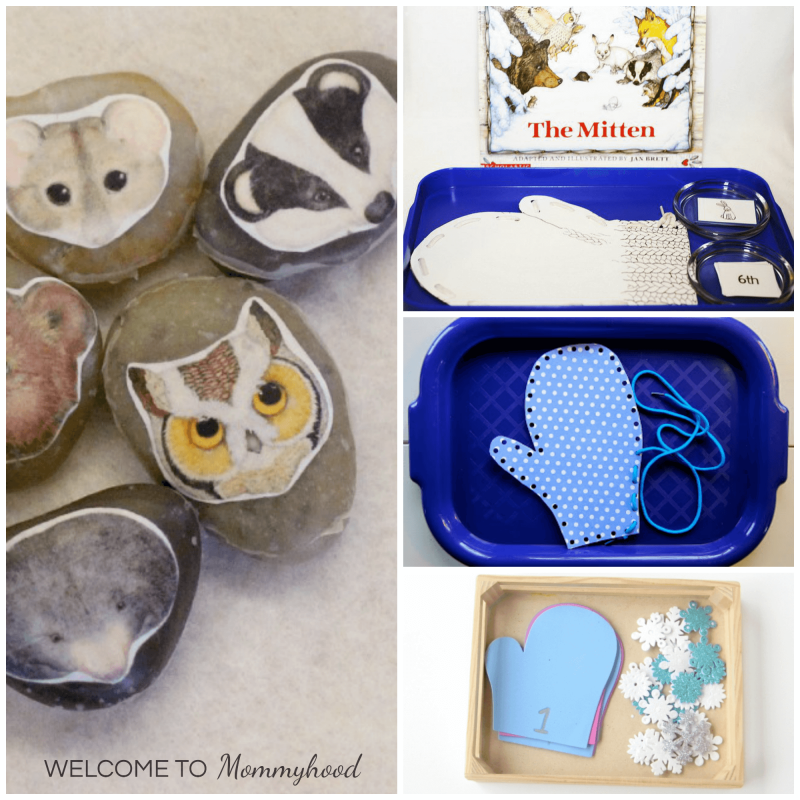 This Montessori Mitten Study has so many great ideas! I love the realistic images! These hands-on mitten activities are really fun! I love the idea of taking mittens and matching them! Try mitten lacing for a fantastic practical life and fine motor activity!